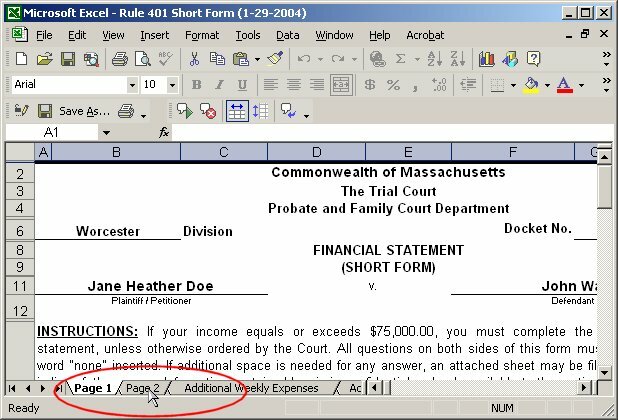 When viewing a Financial Statement (or any document based in Excel), you may be unable to view or edit any other pages beyond the first page. The "tabs" which allow you to change pages are not displayed. This situation is caused by having the document window, which is itself "inside" of the larger Excel window, positioned such that the tabs are not visible. 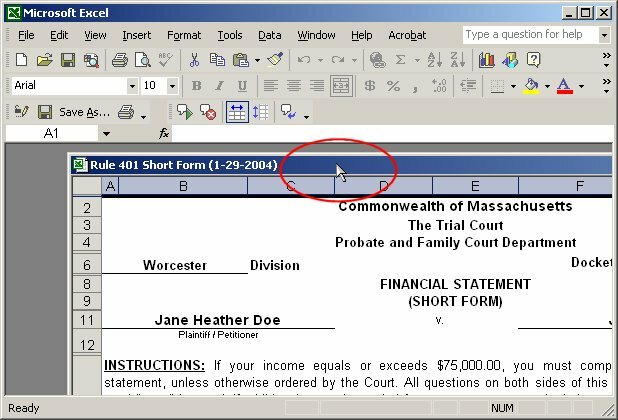 As indicated in the screen shot below, simply double-click the title bar of the document's window to cause it to maximize and fill the Excel window. This will allow you to click on the "tabs" at the bottom of the screen and change pages as needed. Above: double-clicking the title bar of the document window will maximize the window and allow you to see the page tabs. Above: The "tabs" which represent each page in a Financial Document.